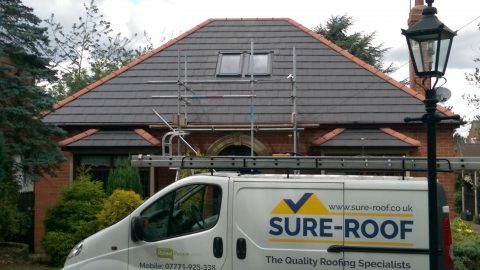 you only need to check our previous customer reviews on RatedPeople.com to see how highly regarded we are. Take a look at the projects we’ve recently completed throughout South Yorkshire. 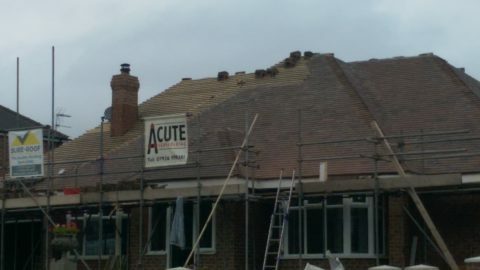 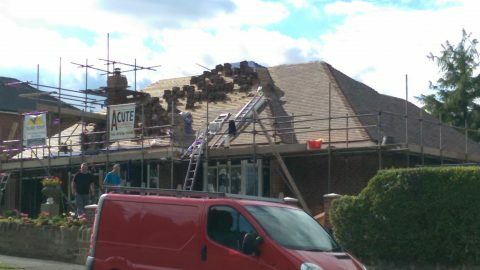 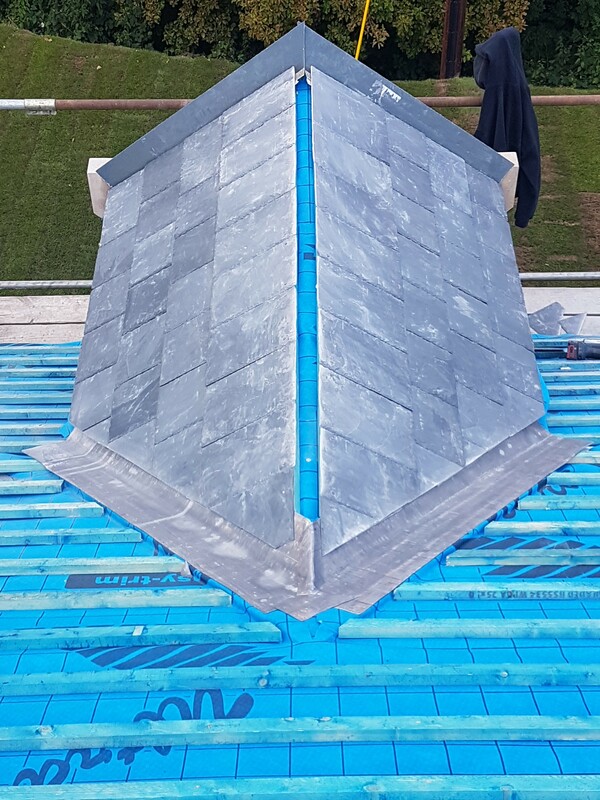 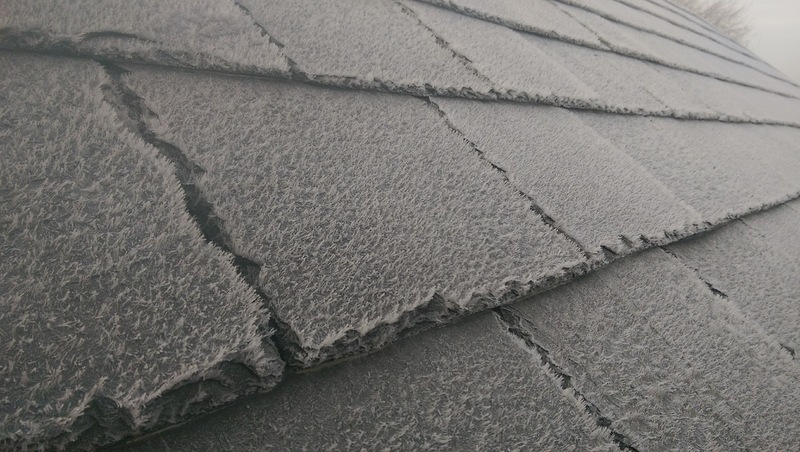 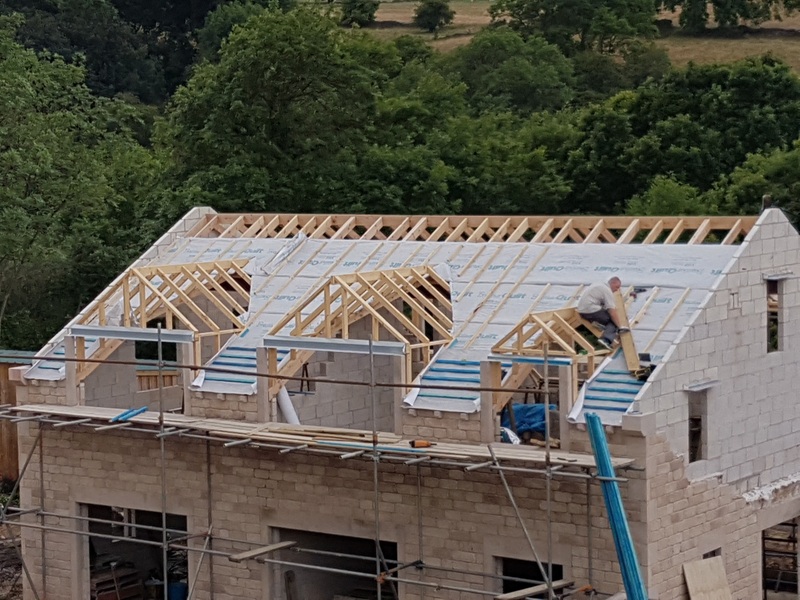 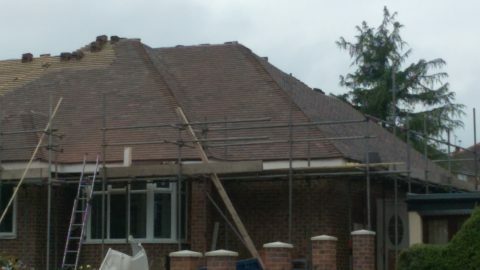 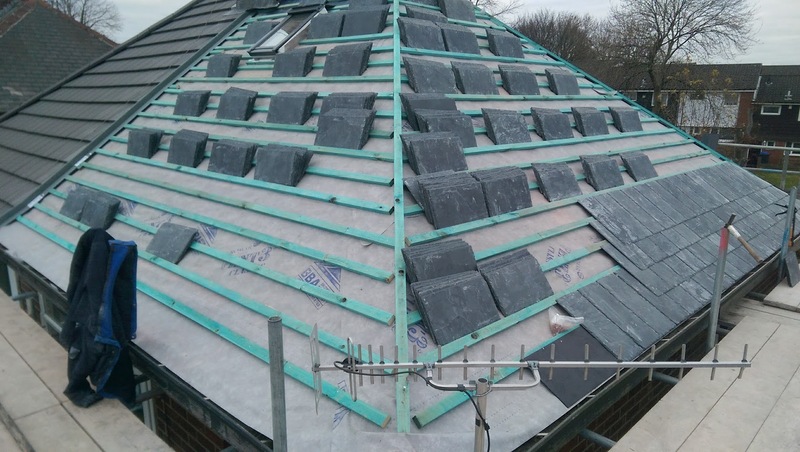 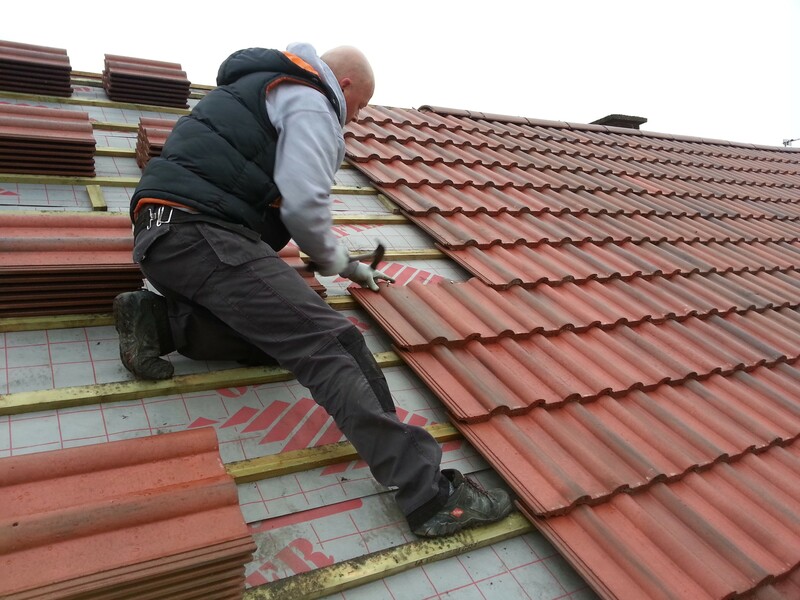 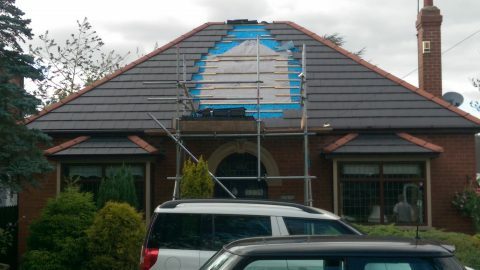 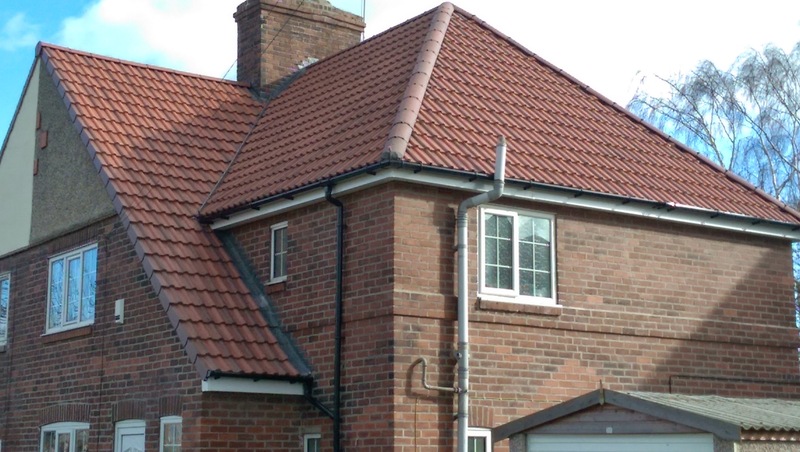 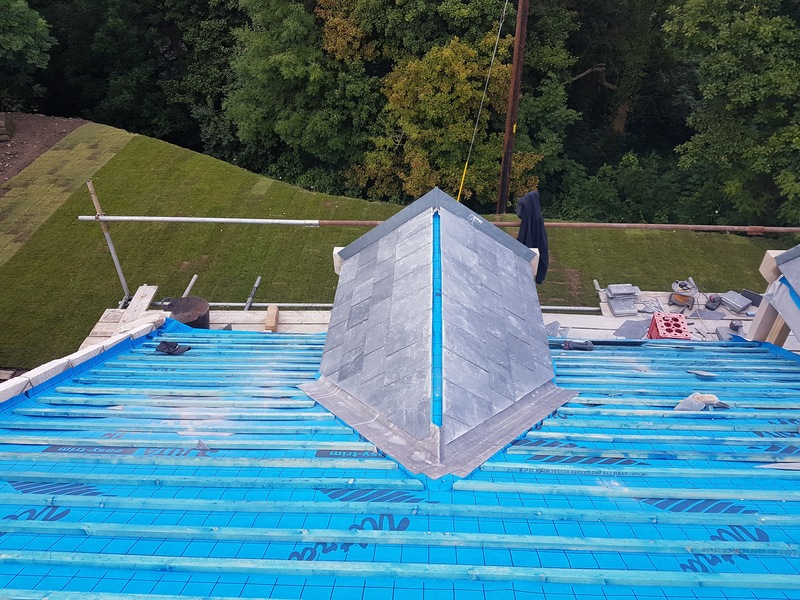 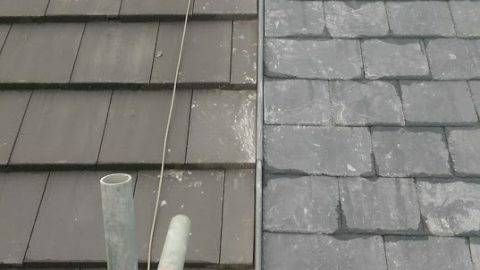 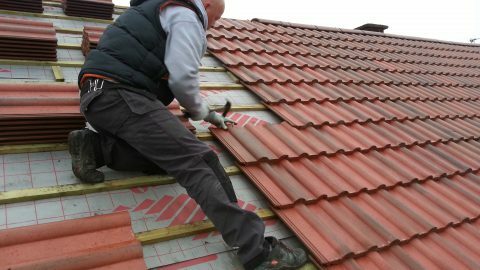 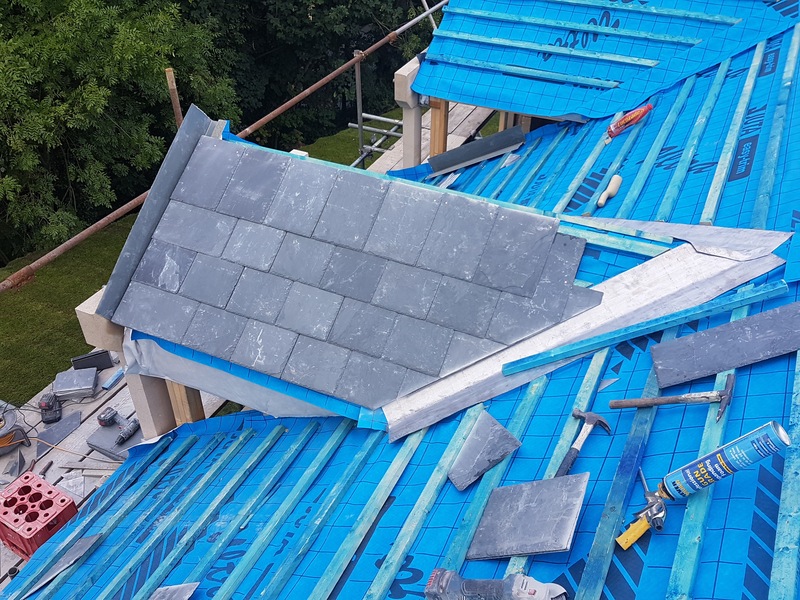 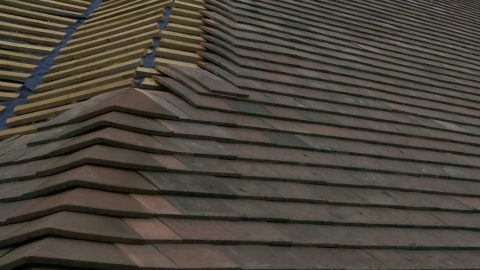 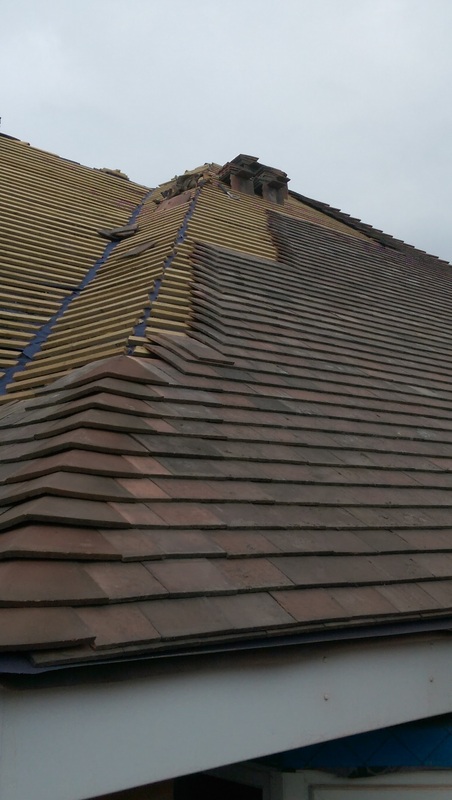 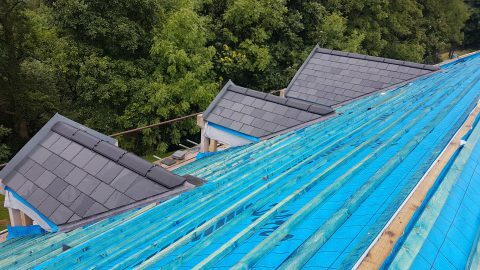 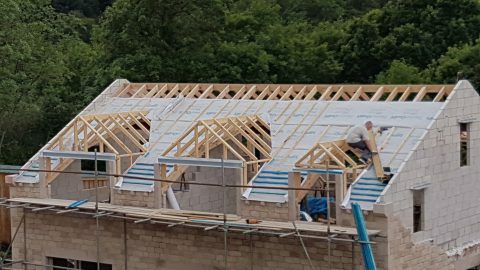 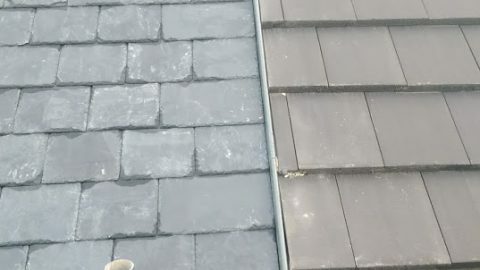 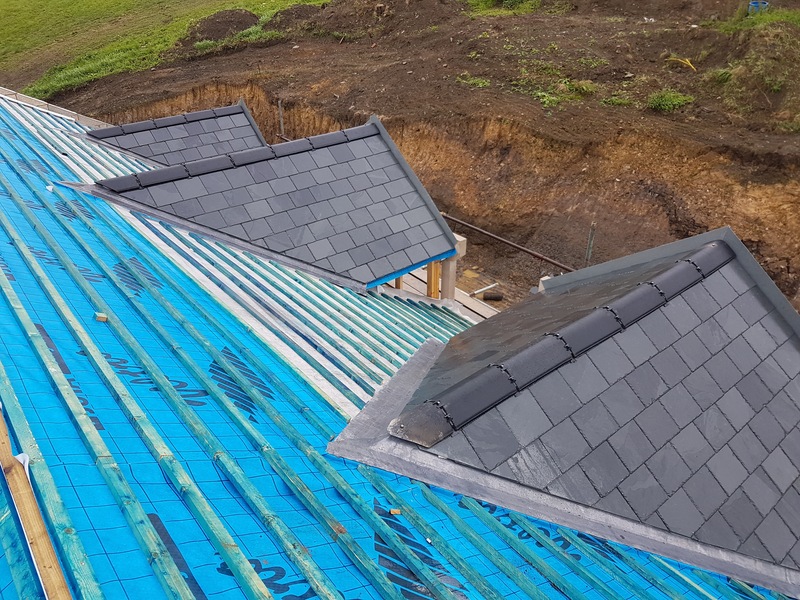 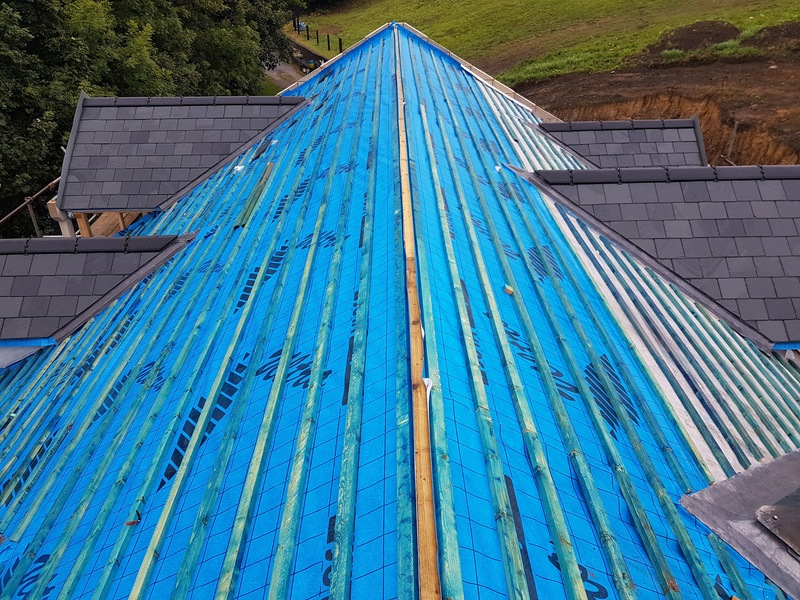 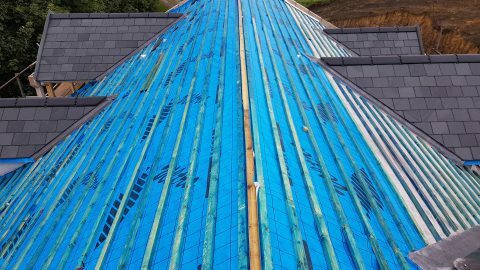 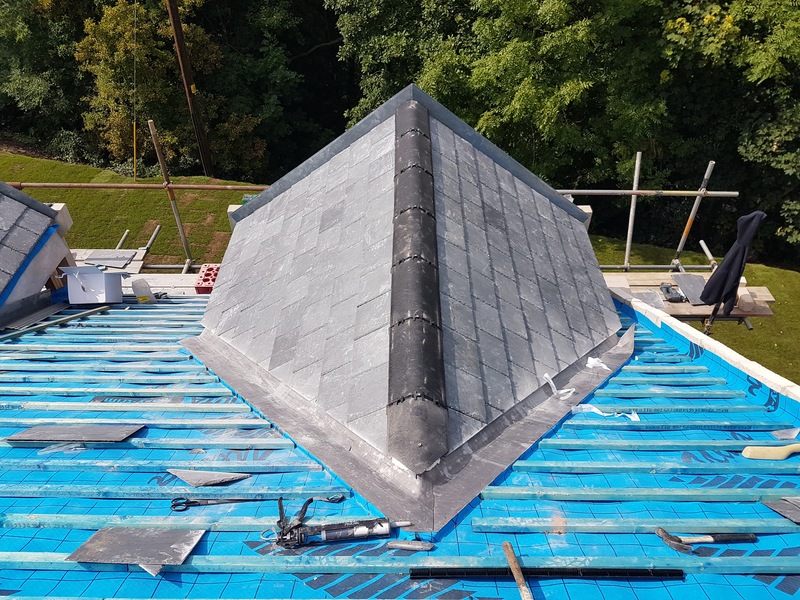 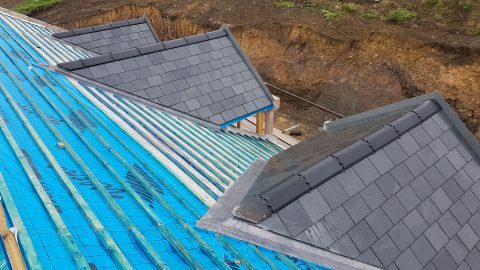 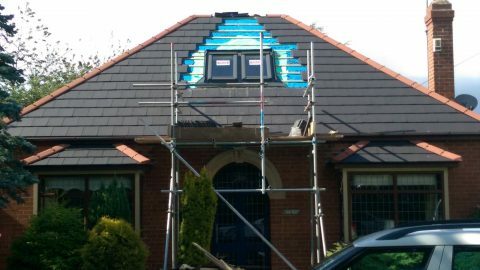 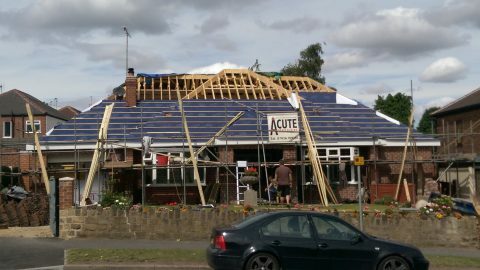 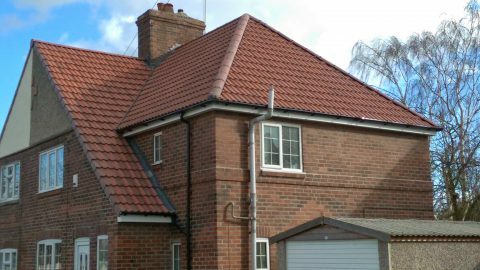 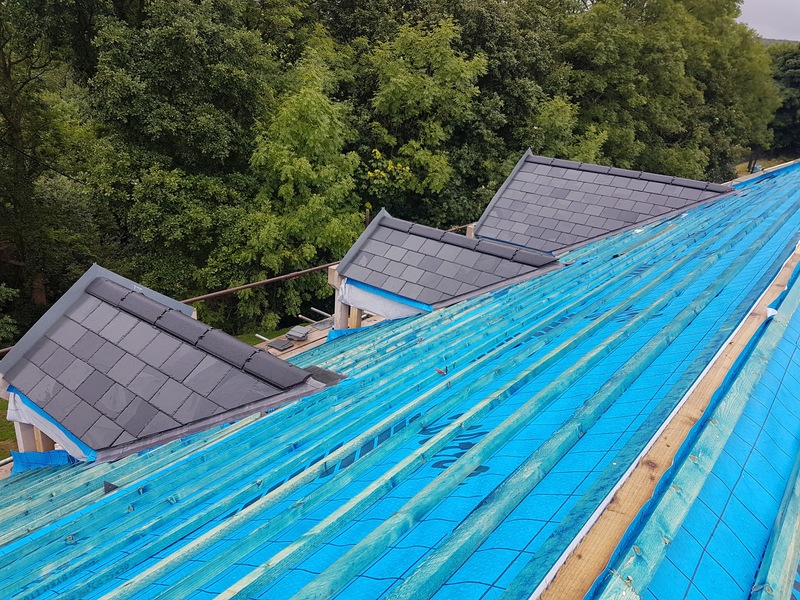 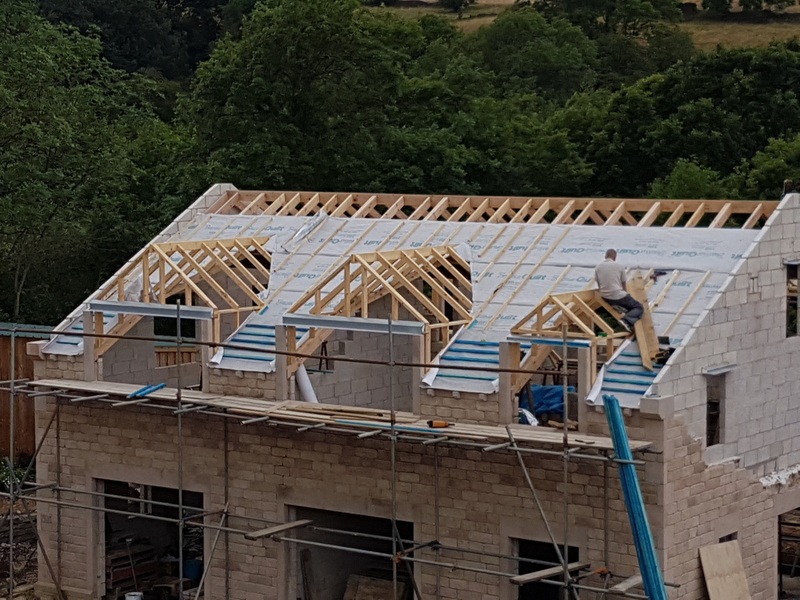 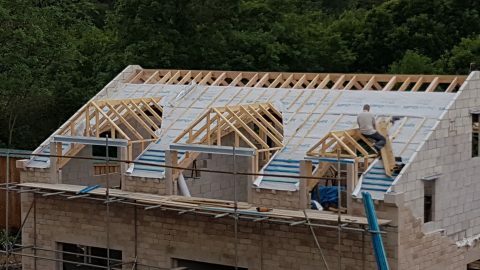 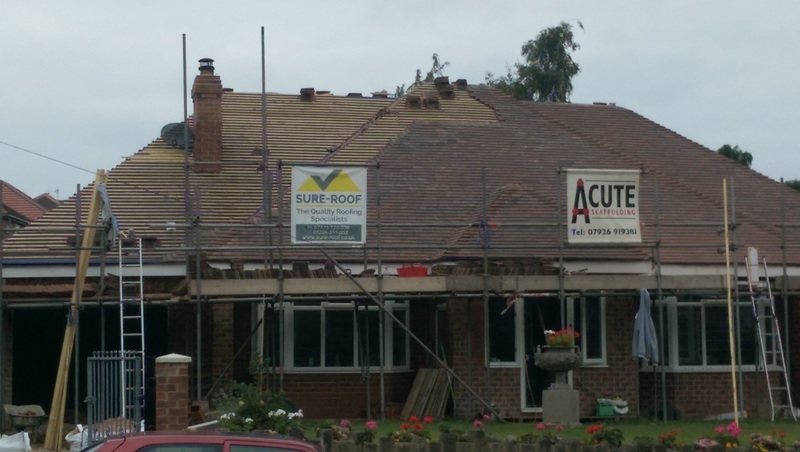 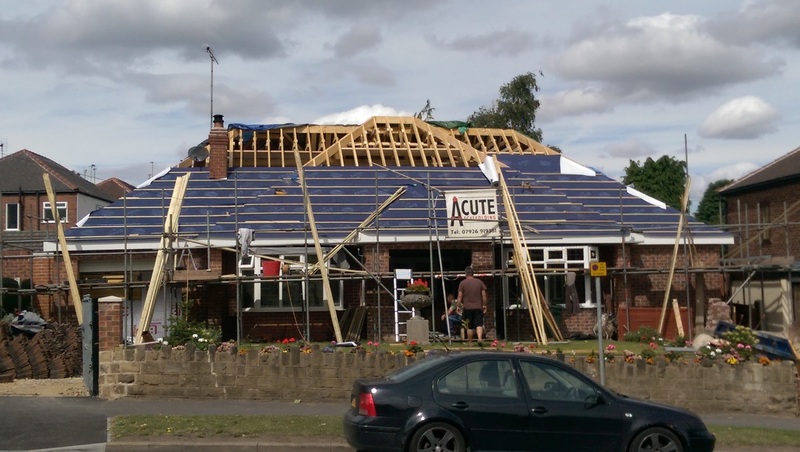 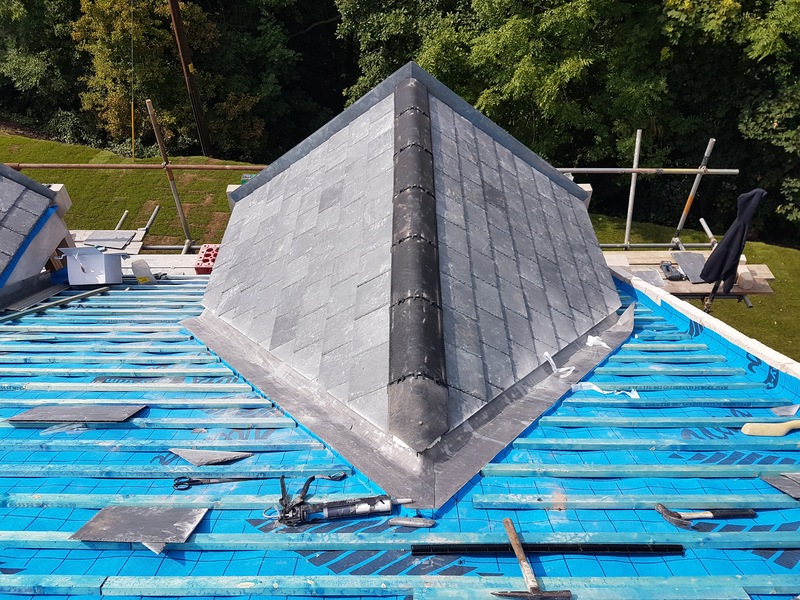 We’re the premier roofing company for Barnsley, Rotherham, Sheffield, Doncaster, Chesterfield and across North Derbyshire, too. 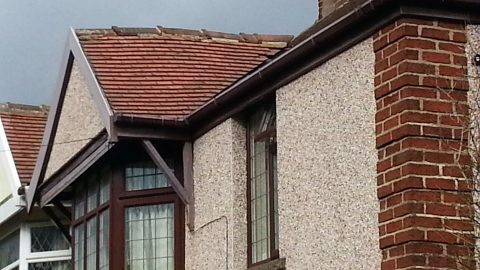 We are proud to keep roofs watertight and heads dry throughout the county. For more information about our roofing services, simply pick up the phone and talk to a member of our friendly team today. 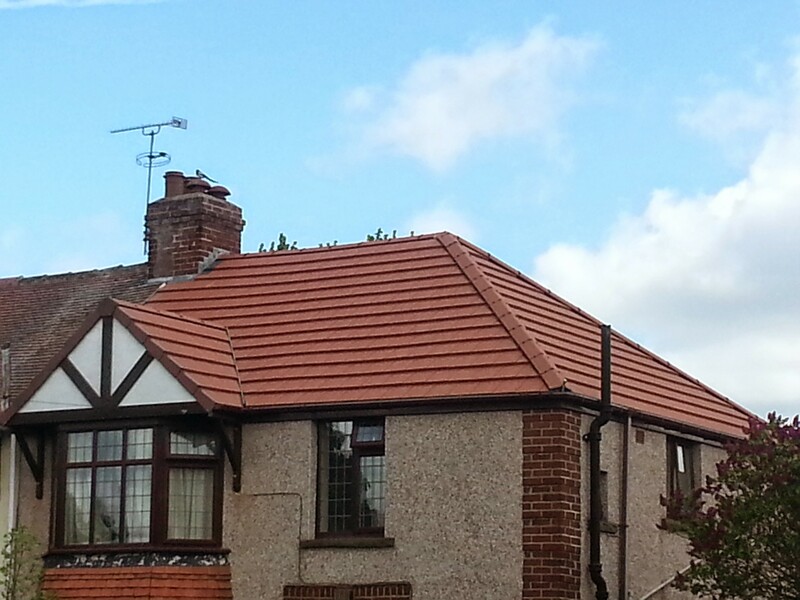 An ordinary hip-ended semi-detached house in Rosemary tiles, replaced with larger format interlocking concrete tiles. 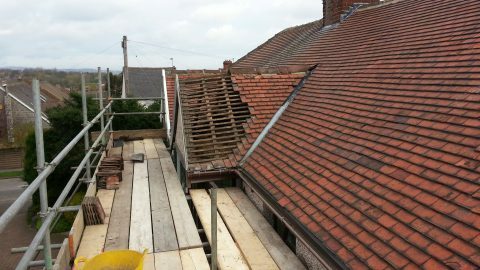 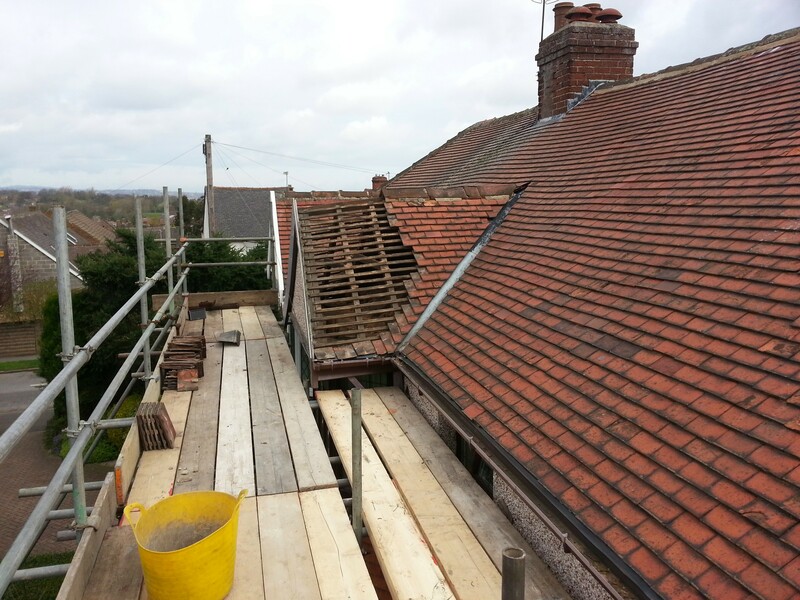 Notable as we were asked to rebuild the collapsed dormer on the front elevation of this property. 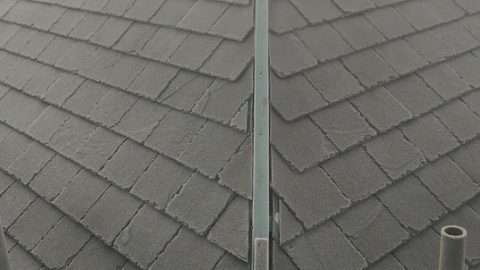 The photos are self explanatory. 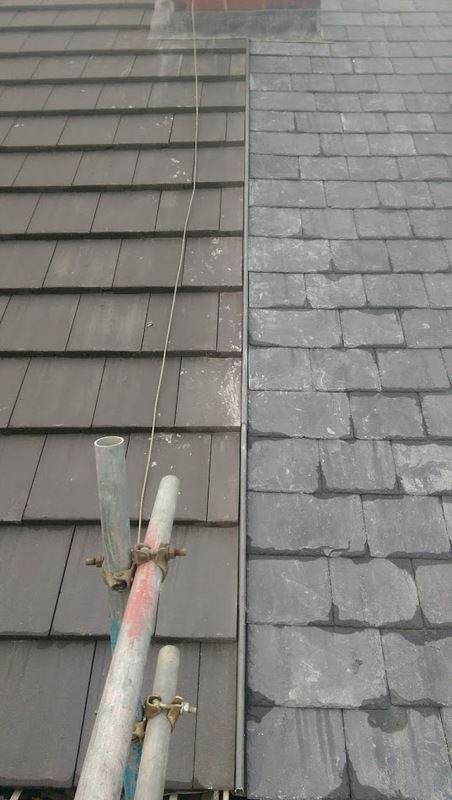 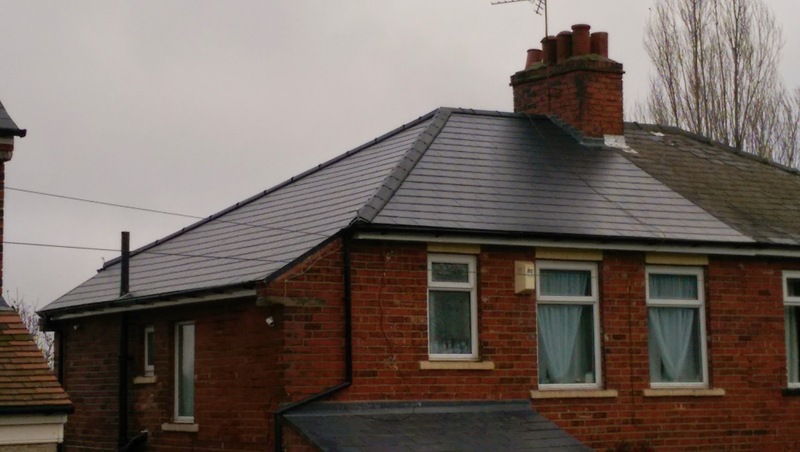 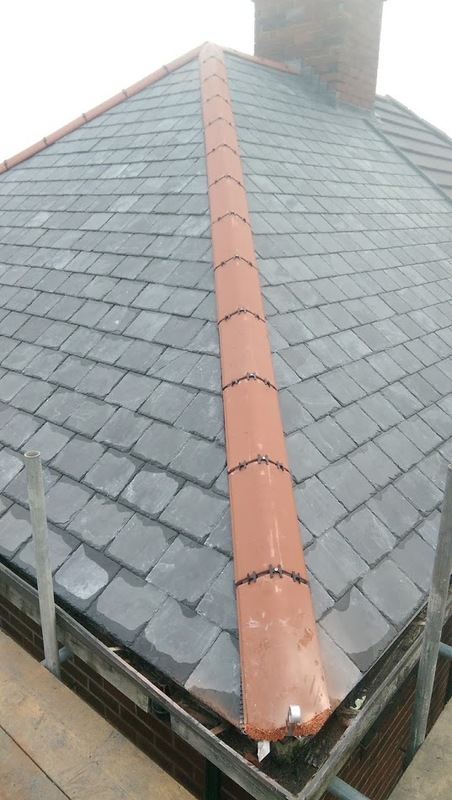 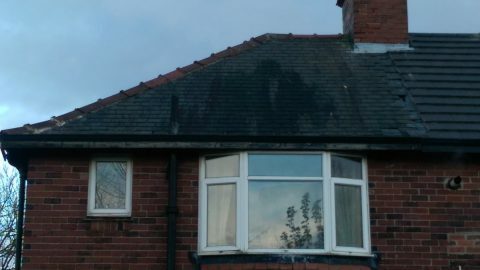 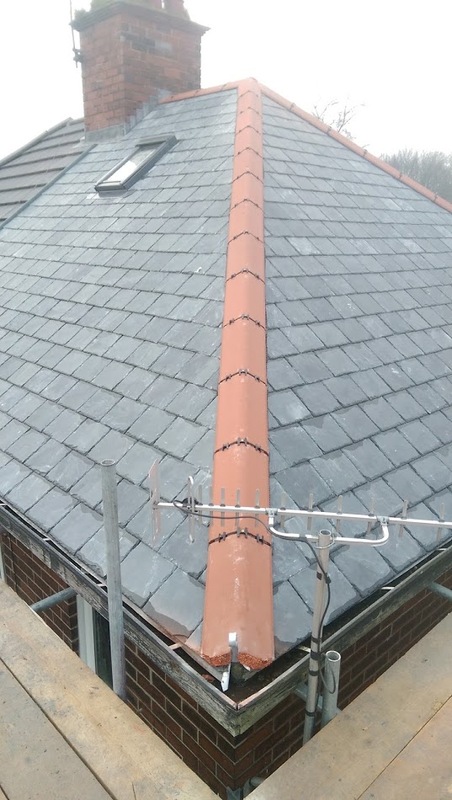 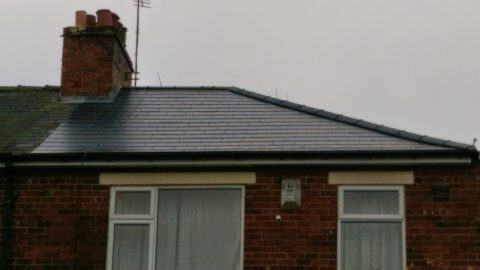 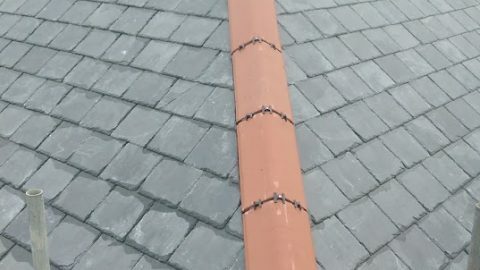 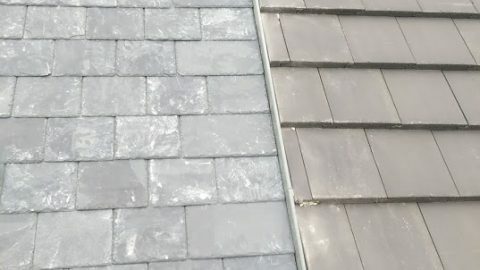 A nice example of replacement of worn out natural slates with new synthetic slates, again this includes renewal of fascias and soffits as well as gutters and downpipes. 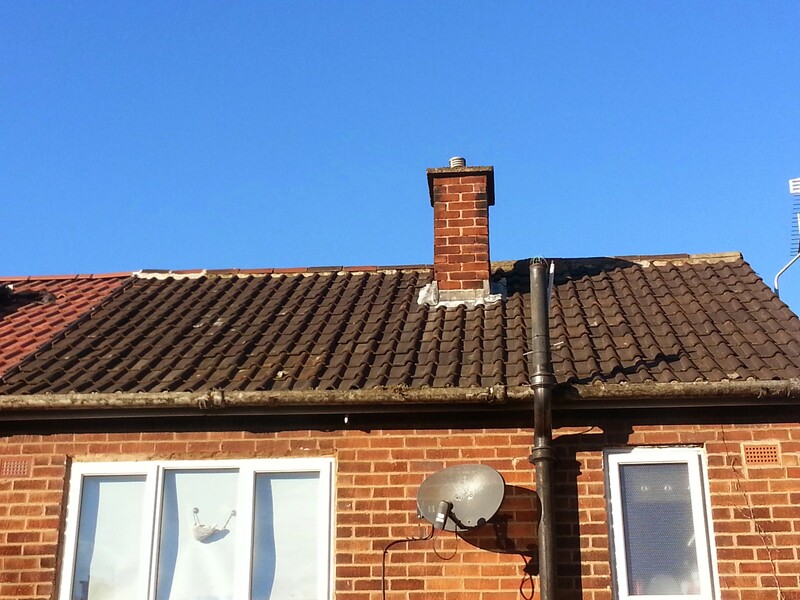 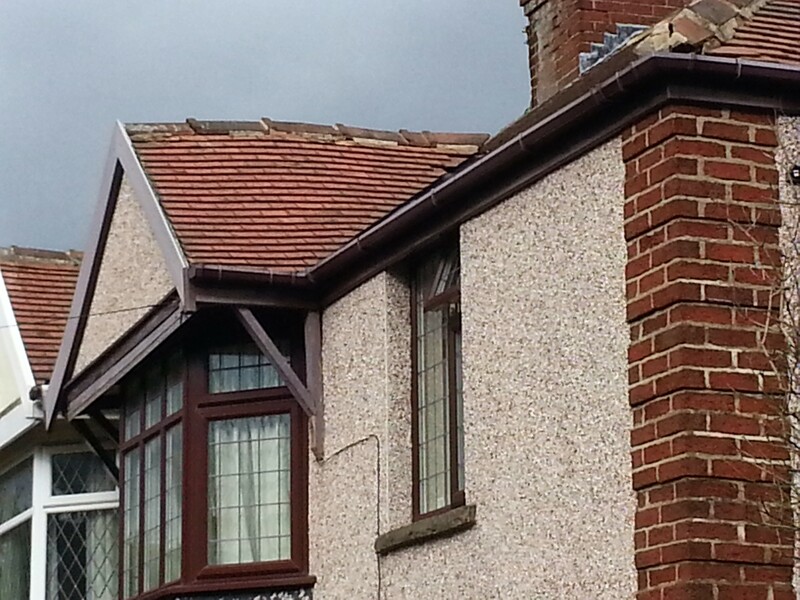 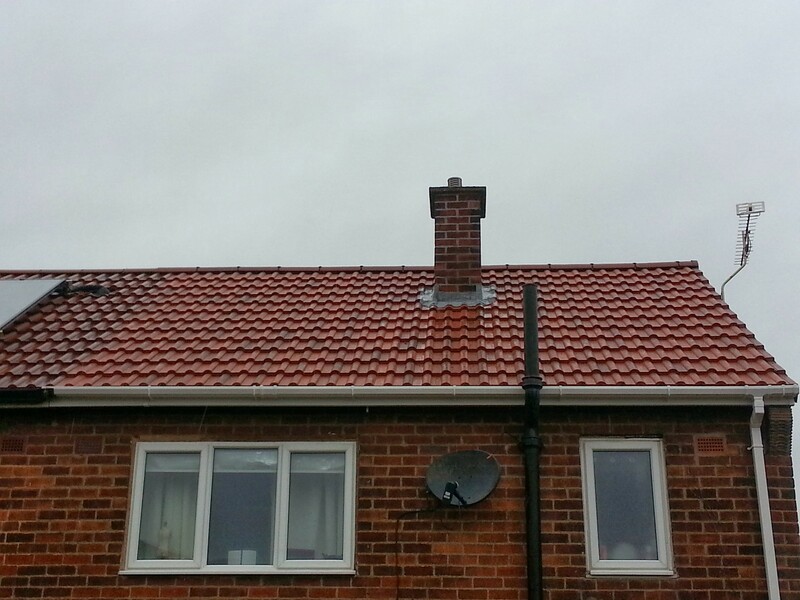 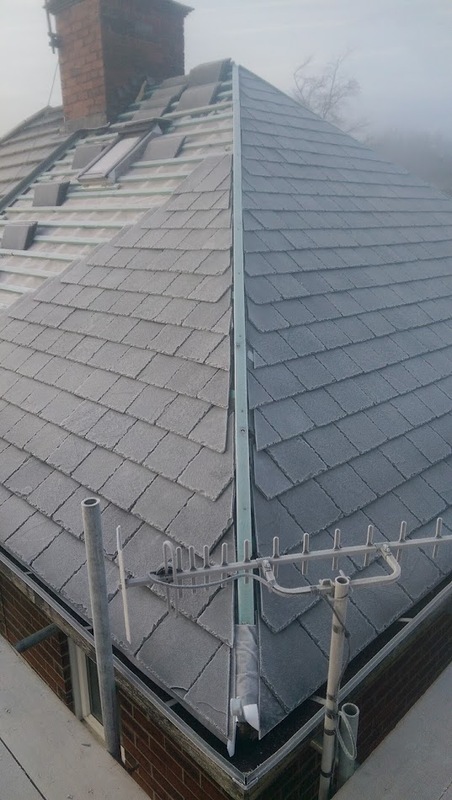 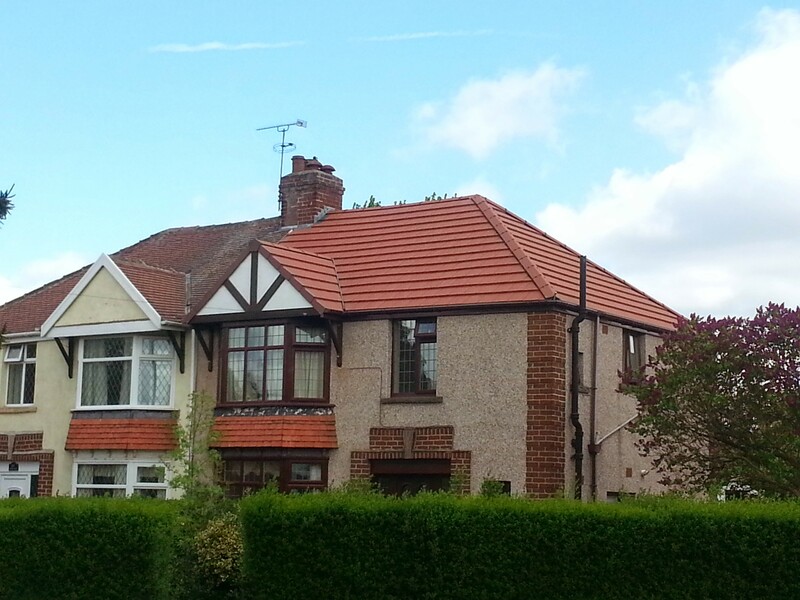 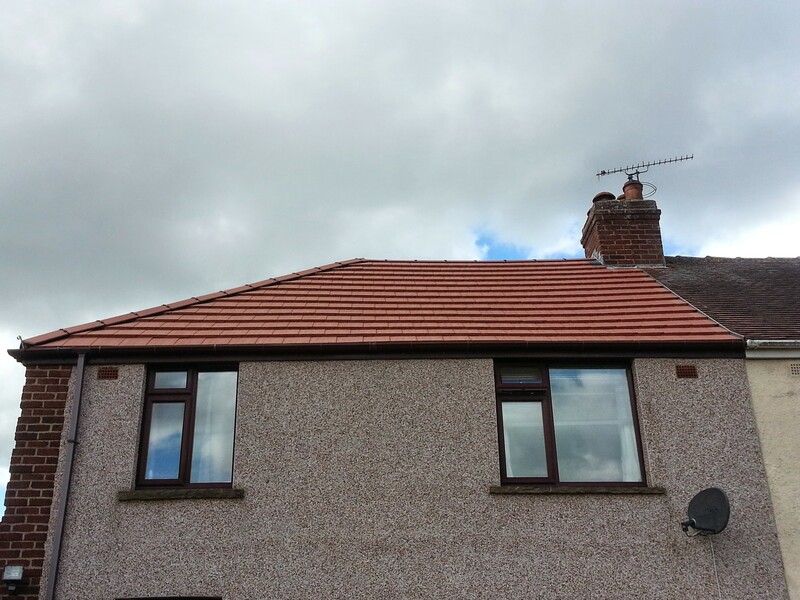 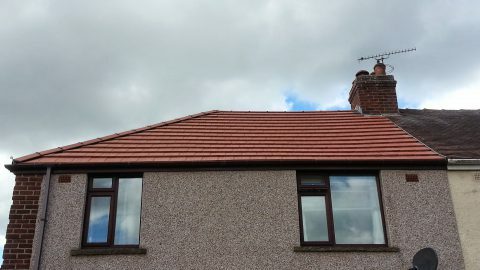 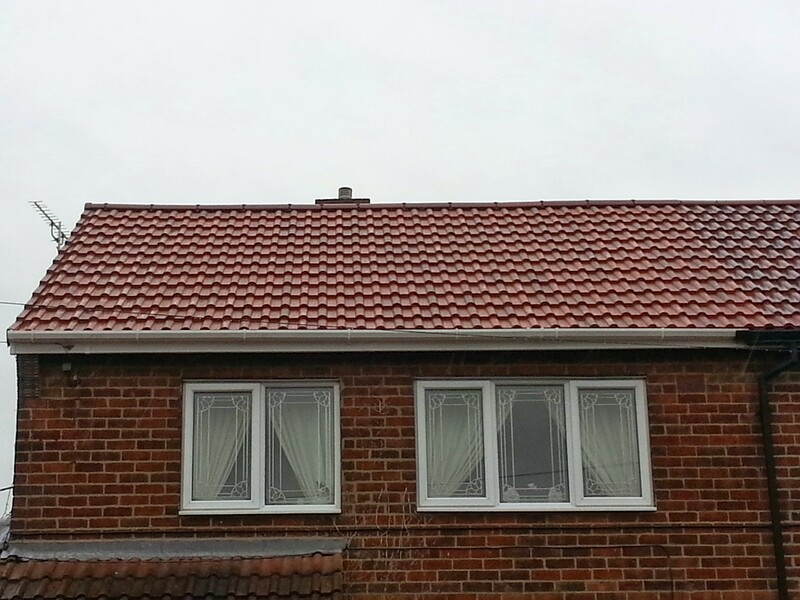 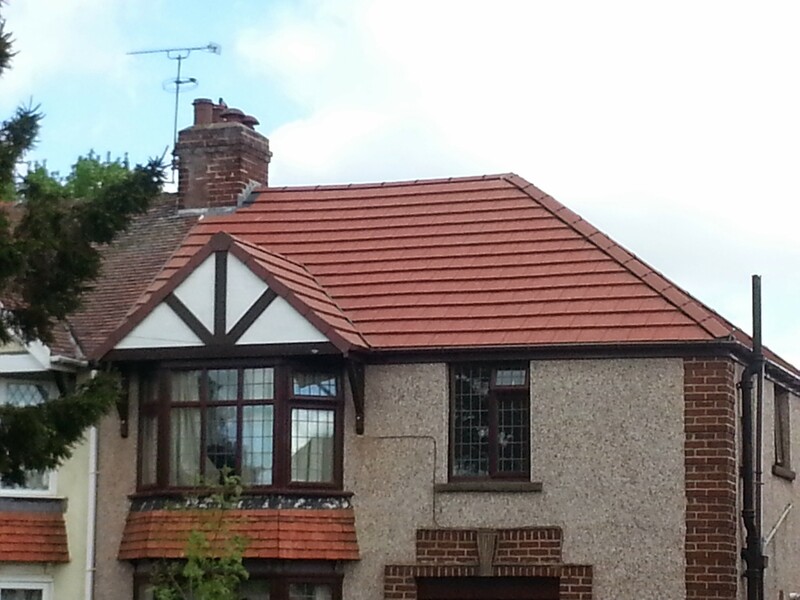 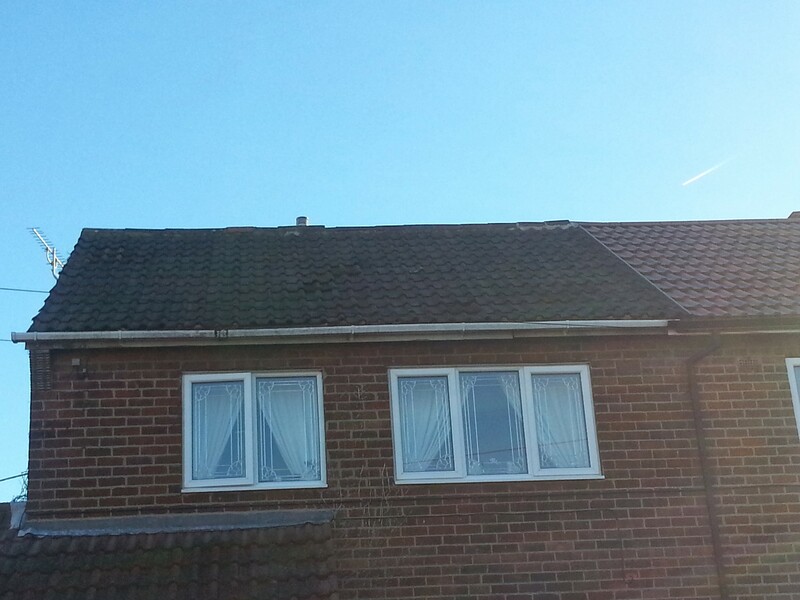 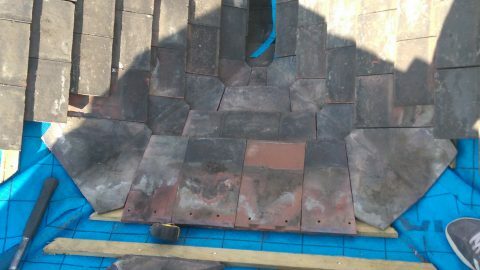 Rosemary tiled roof replacement including Dry Ridge, Dry Verge and Dry Valley. 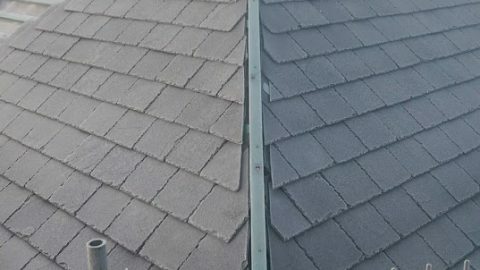 Some nice before and after shots. 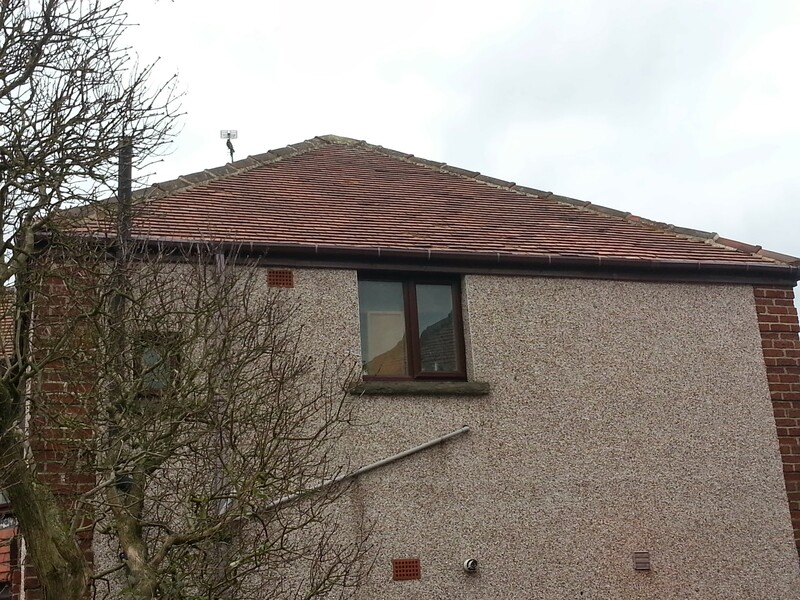 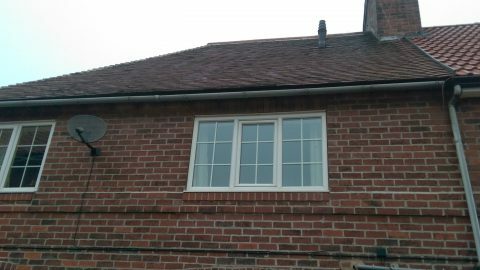 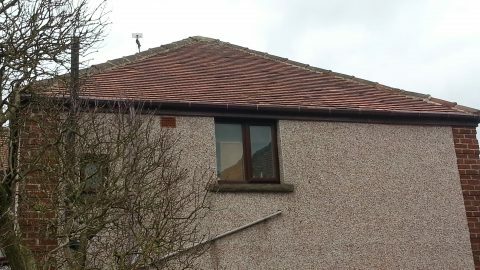 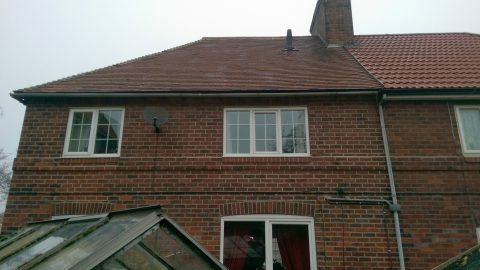 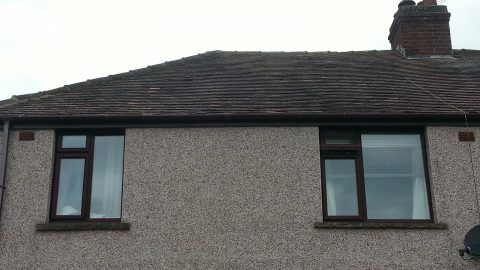 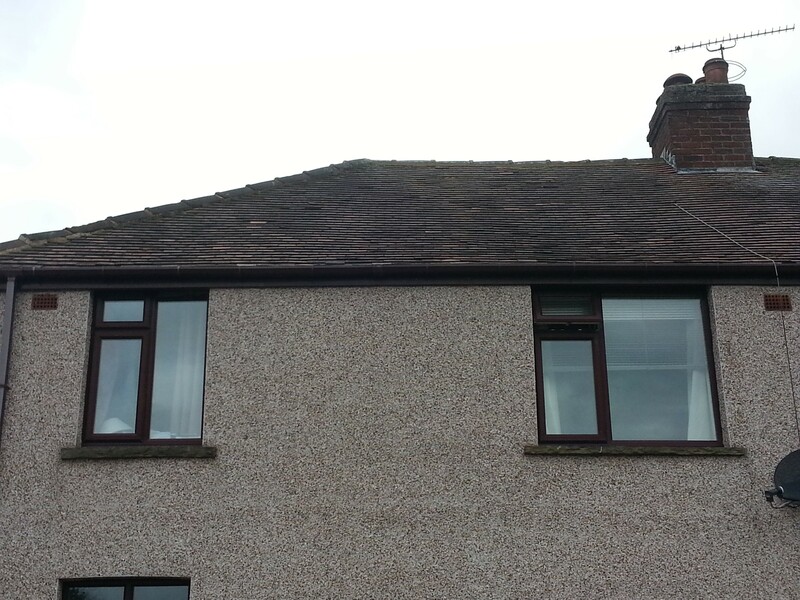 Removal of existing dormer, replaced with 2 large top-hung Velux windows. 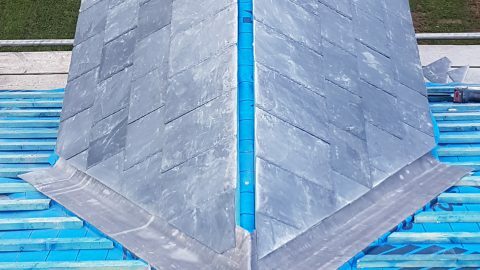 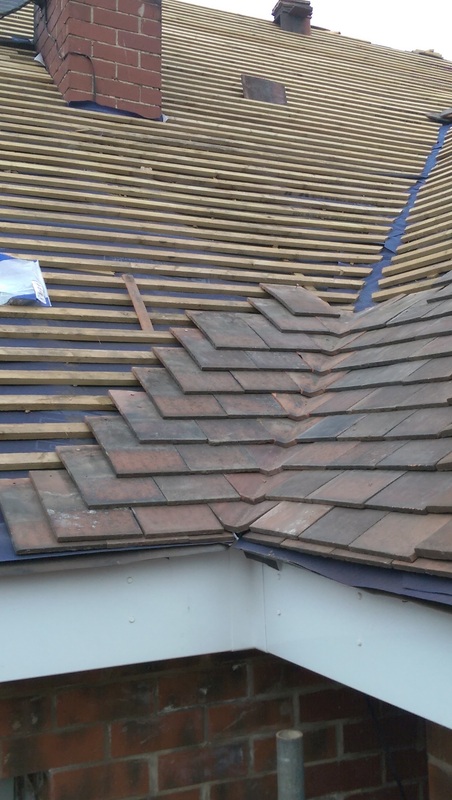 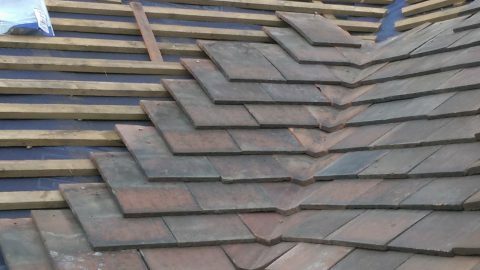 Extremely technically difficult project due to customer requirement for fully tiled hips and valleys in reclaimed Rosemary tiles. 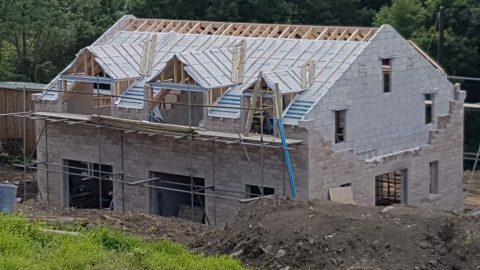 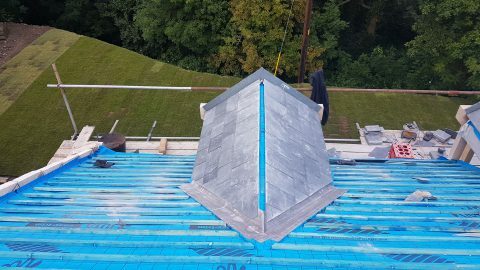 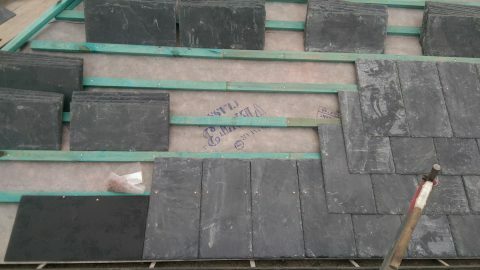 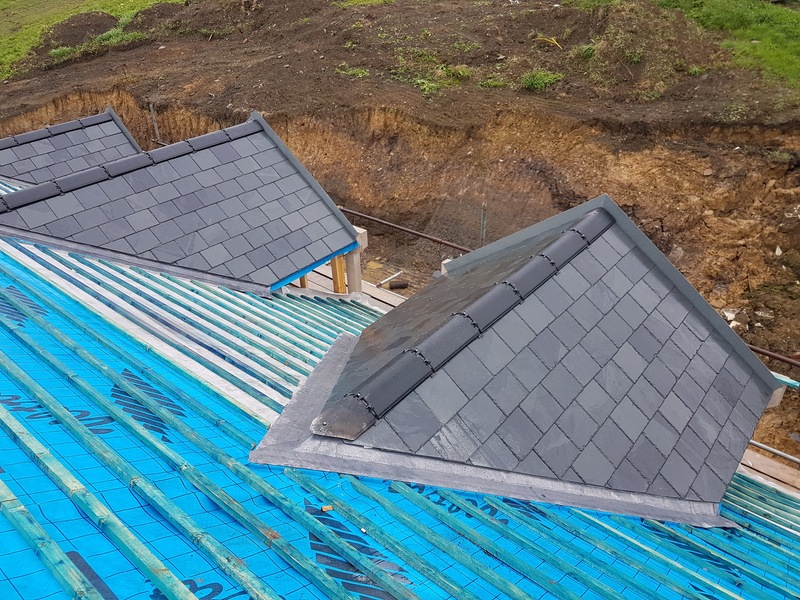 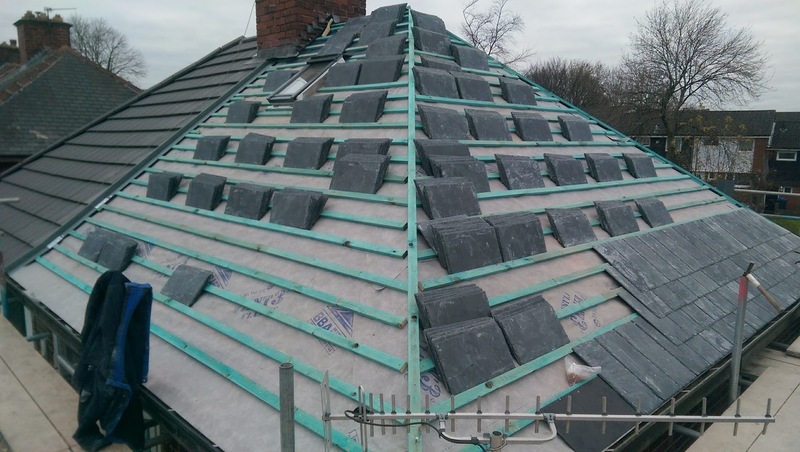 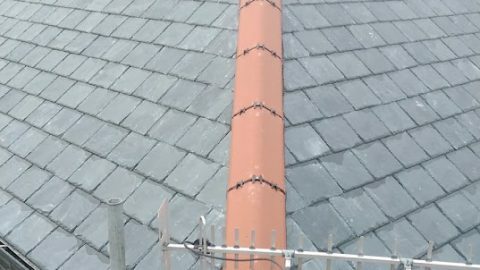 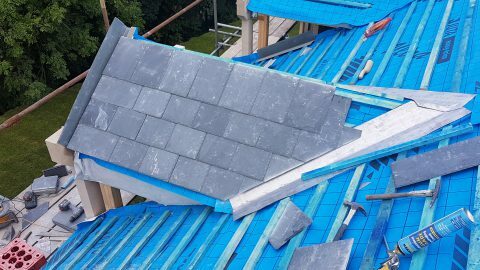 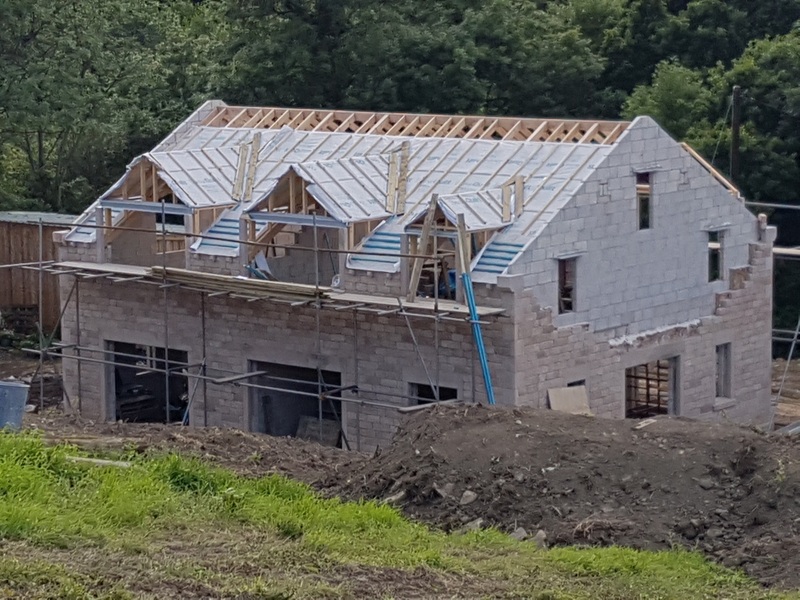 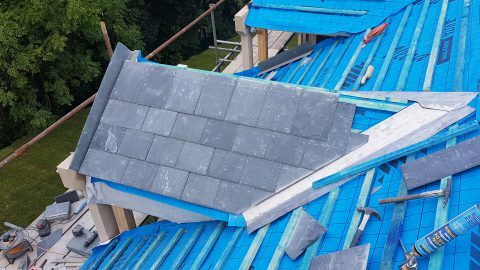 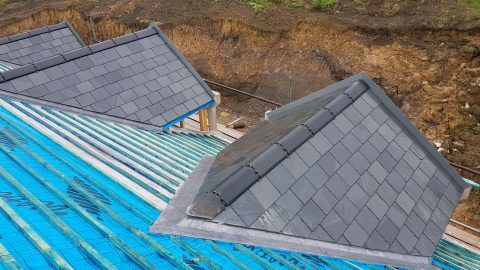 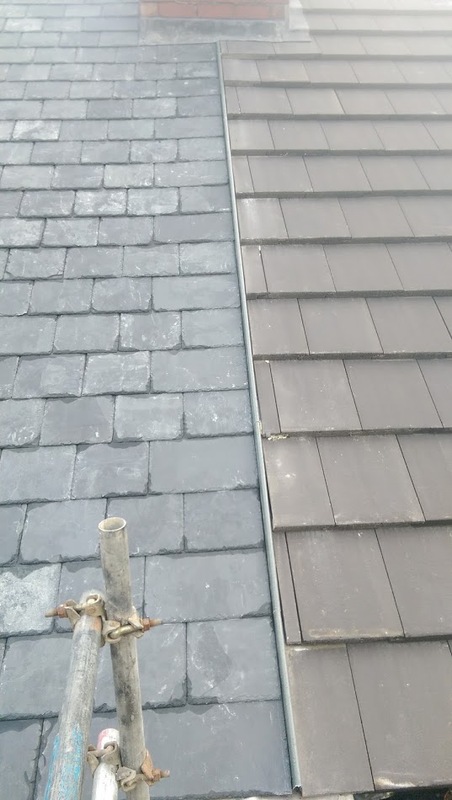 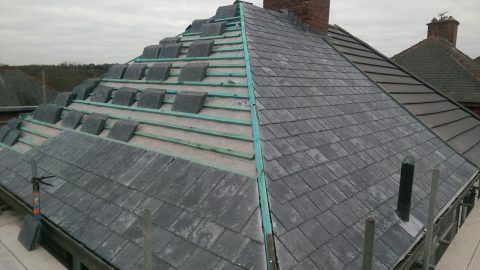 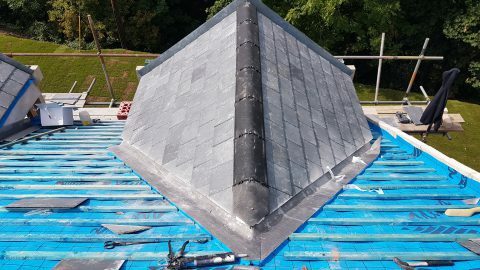 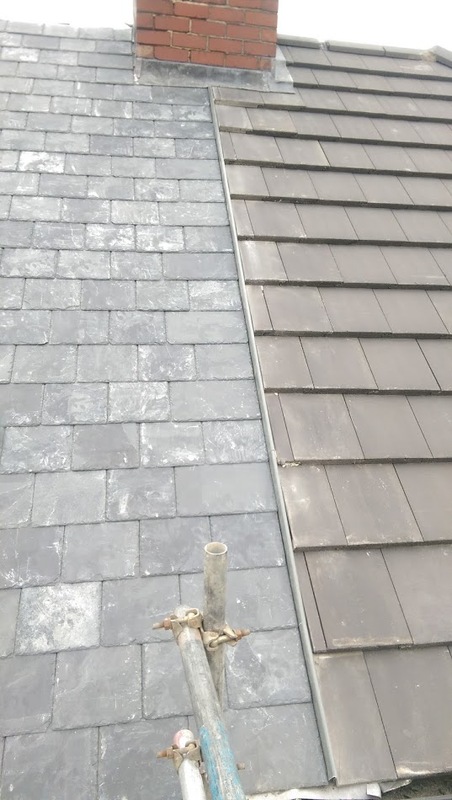 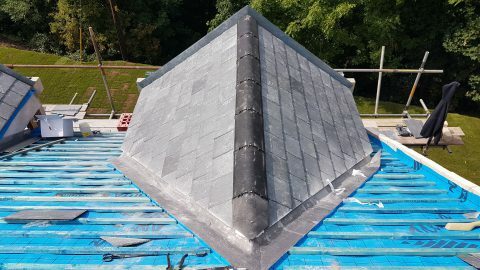 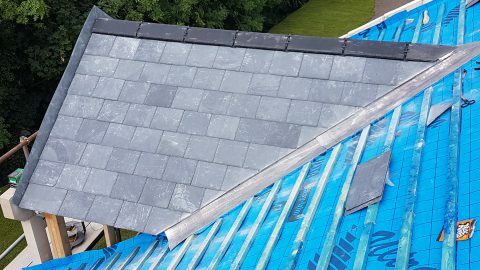 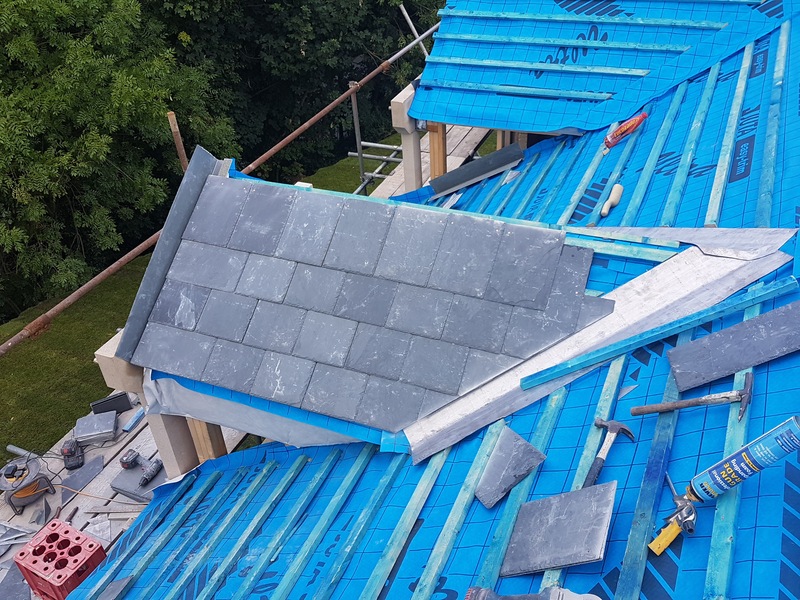 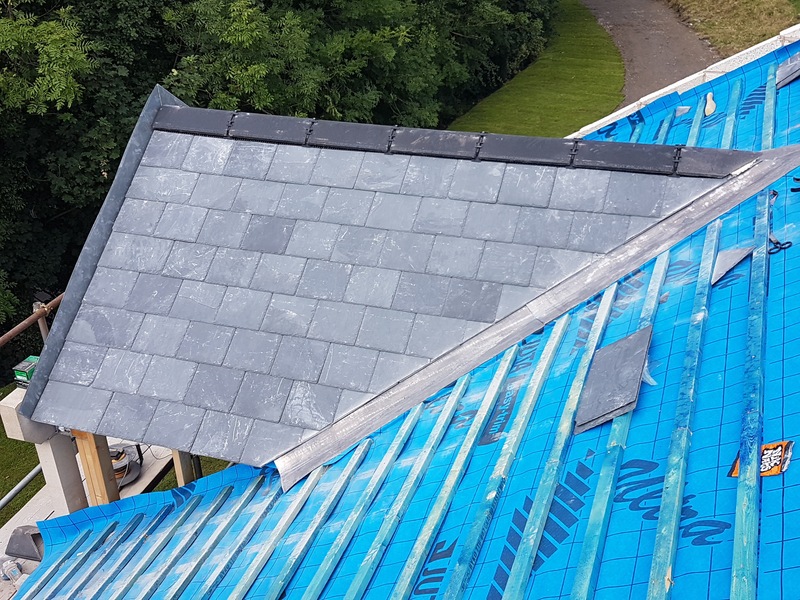 New build project in new slate. 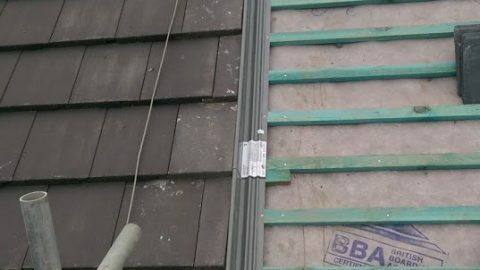 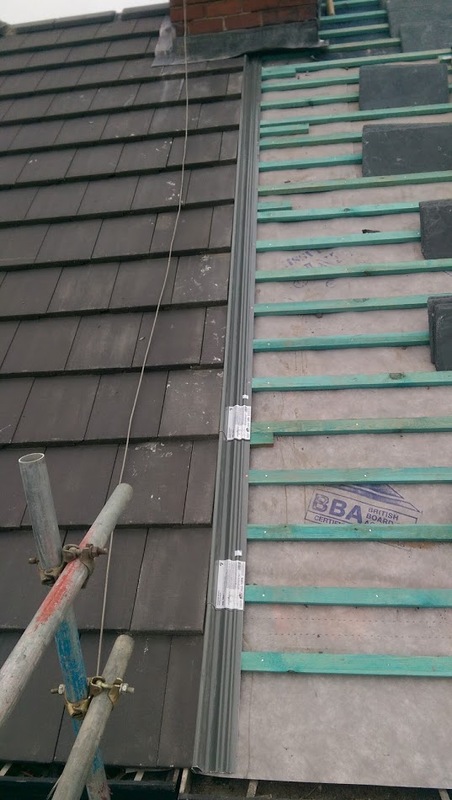 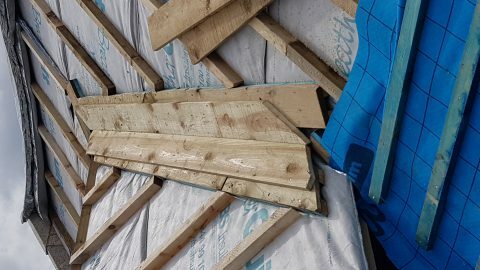 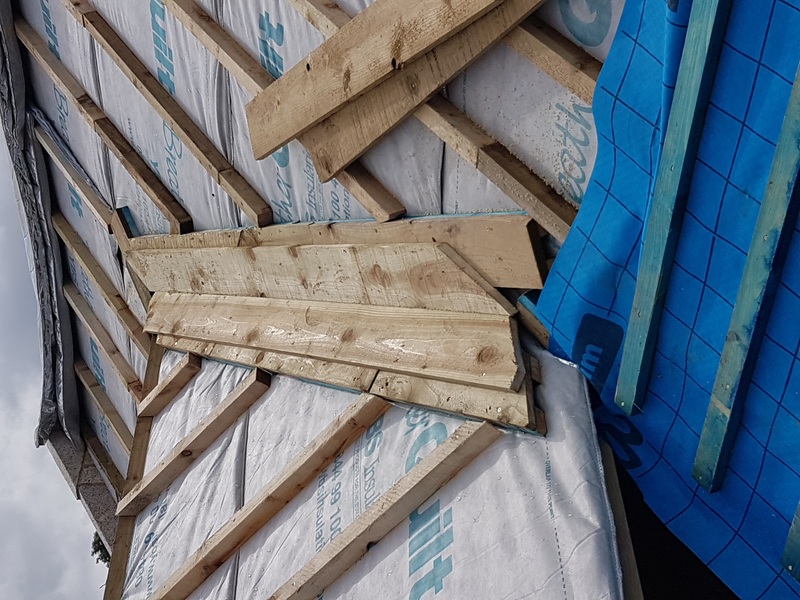 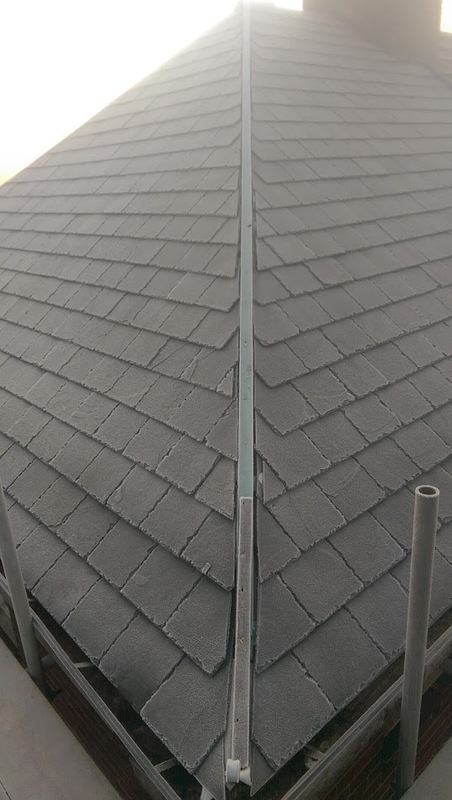 Again, extremely difficult technically due to customer requirement for an insulated breather quilt with counter-battened rafters. Made even more tricky by the valleys and dormers. Stunning oak framed entrance porch with matching slates completes the job beautifully. 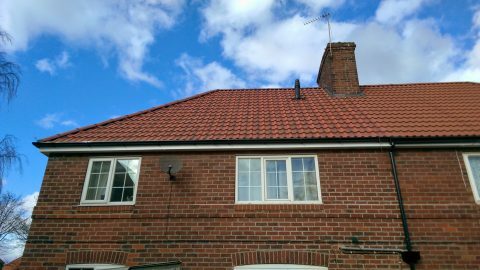 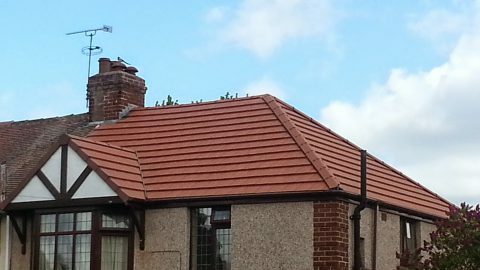 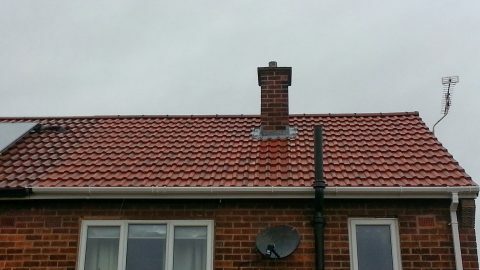 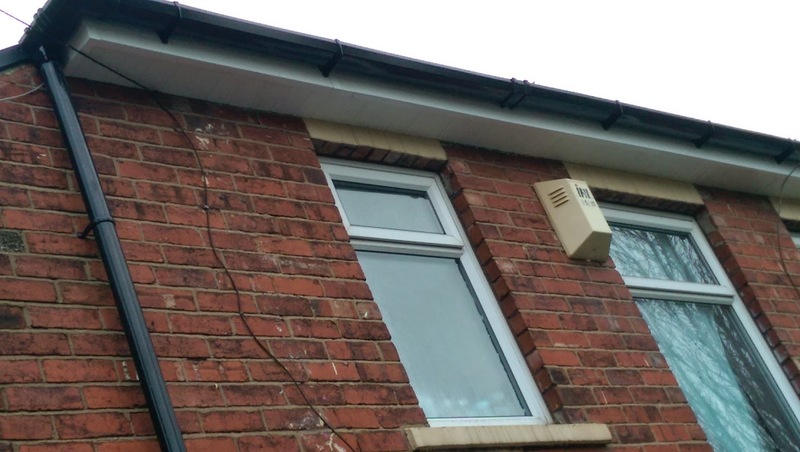 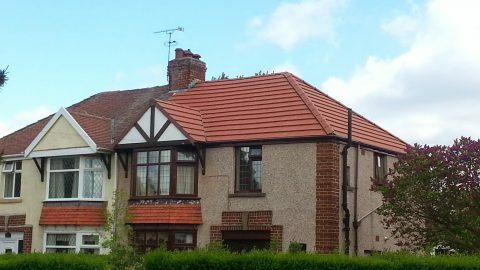 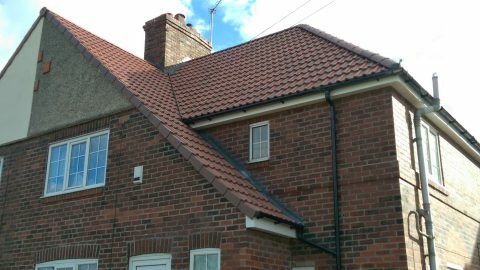 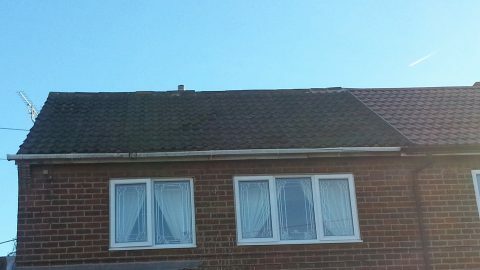 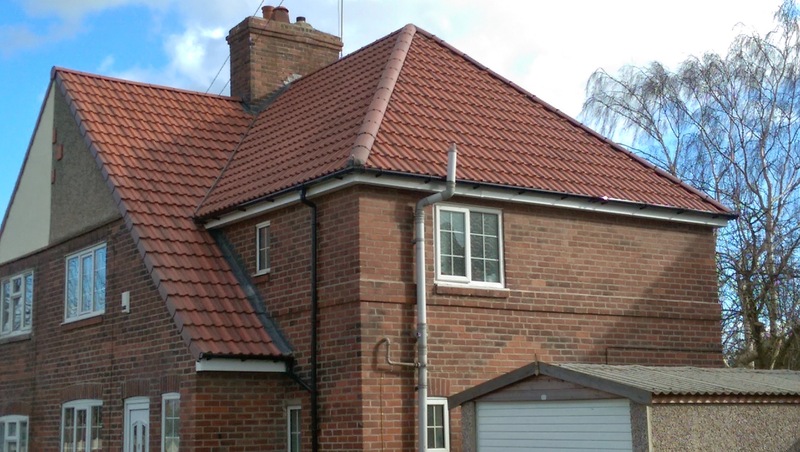 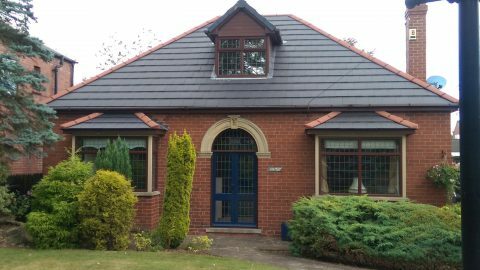 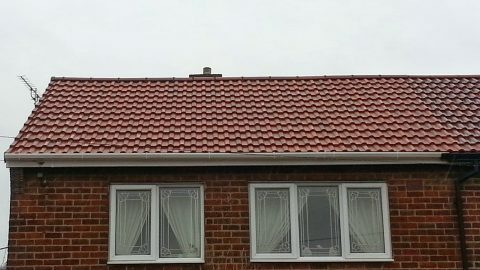 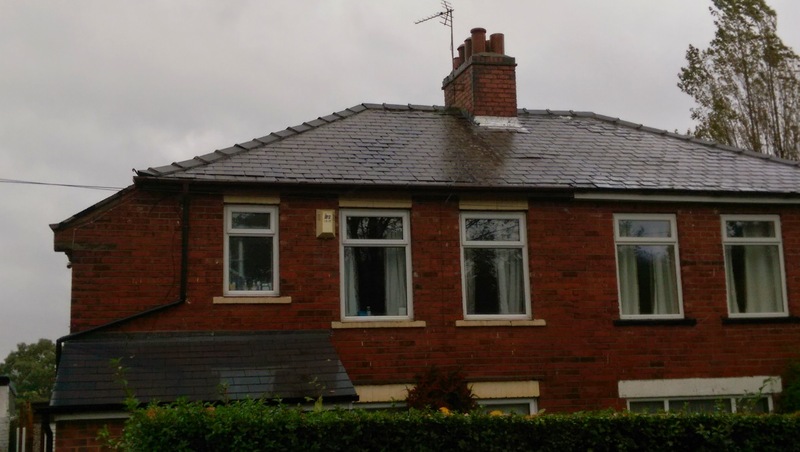 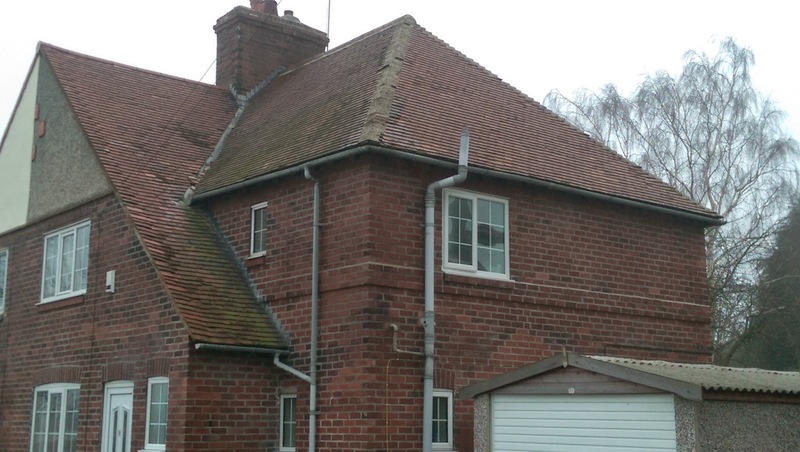 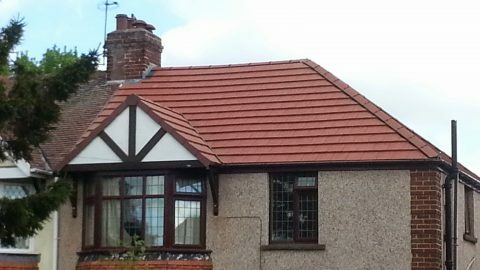 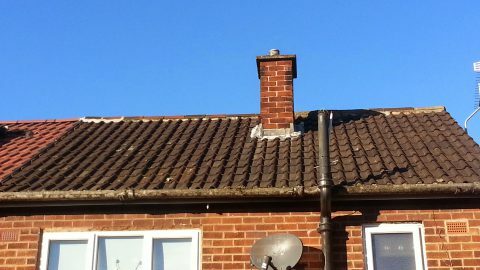 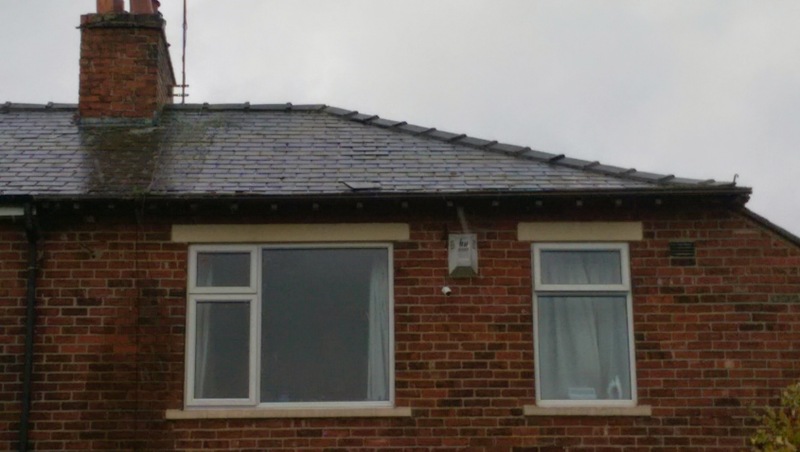 Simple example of a gable ended semi-detached tiled roof replacement including dry ridge and Dry verge installation, as well as new fascias, soffits, guttering and downpipe.